Farmington is located in Hartford County with the Talcott Mountain ridgeline along its eastern border. The Tunxis Indians called the area Tunxis Sepus, or bend of the little river. After incorporation in 1645 the settler’s renamed the region and its primary river Farmington. In the 1800s, Farmington became known as the “Grand Central Station” of Connecticut’s Underground Railroad. Present-day visitors can see several sites associated with the abolitionist movement and Amistad trial of 1841. Hill-Stead Museum, Miss Porter’s School and other early buildings preserve the town’s historic character while corporate facilities, medical and dental schools, and other enterprises fuel its economy. “Farmington Historical Society,” 2016. Link. “Stanley - Whitman House,” 2017. Link. “Farmington - WPA Architectural Survey.” Connecticut State Library Digital Collections, 2016. Link. Stodart & Currier. 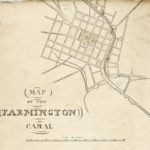 “Map of Farmington & Avon Indicating the Farmington Canal and Feeders.” n.d. Connecticut History Illustrated, Connecticut Historical Society. Link. Durrie, George Henry. “Oil Painting: Seven Miles to Farmington,” 1853. Connecticut History Illustrated, Florence Griswold Museum. Link. Martin, Jean. Farmington. Charleston, SC: Arcadia, 1999. Farmington Historical Society, and Christopher Bickford. Farmington in Connecticut. Canaan, NH: Farmington Historical Society, 1982. Brandegee, Arthur. 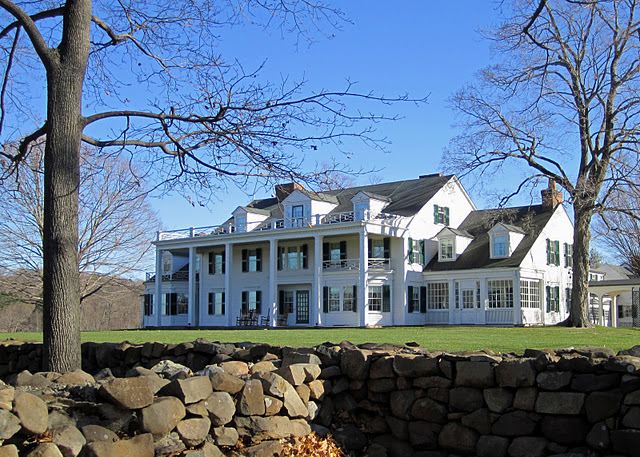 Farmington, Connecticut, the Village of Beautiful Homes. Photographic Reproductions, Illustrating Every Home in the Town. Prominent People Past and Present, All of the School Children, Local Antiques, Etc. Farmington, CT: A.L. Brandegee and E.N. Smith, 1906. Link. Shaw, Ernest. Farmington, Connecticut: A Journey of 350 Years. Farmington, CT: Heritage Trails, 1995. Donahue, Barbara. Farmington: New England Town Through Time. Farmington, CT: Farmington Land Trust, 1989. Camp, David. History of New Britain, with Sketches of Farmington and Berlin, Connecticut. 1640-1889. New Britain, CT: W.B. Thomson & Company, 1889. Link. Alderman, Clifford. Unionville. Charleston, SC: Arcadia, 2010.